Angels often send people the scent of flowers — especially of roses, which have the highest energy vibration rate of any flower (since angels' energy vibrates at a high frequency, they connect more easily with living things that have highly vibrating energy fields). If you smell a flower scent while praying or meditating, yet there are no flowers nearby, the fragrance is probably coming from your guardian angel as a sign that he or she is with you and wants to encourage you. Your guardian angel may send you a scent that reminds you of a person, or even a pet, you love when you've been praying or meditating about that individual. If you've been discussing your spouse with your guardian angel, your angel may send you the scent of your wife's favorite perfume or your husband's favorite cologne — or even their personal body scent — to tell you that your angel will be praying for your spouse. If you're grieving the death of a beloved pet, you may smell what your pet smelled like as your angel's way of comforting you. You may smell scents that remind you of a place you're talking with your guardian angel about, such as a home, office, school, or park. These scented messages are designed to evoke your memories of special places in your life — places that have served as the settings for the events or situations you're praying or meditating about now. For example, if you're seeking healing for emotional wounds you suffered when you were bullied in school, your guardian angel may send you a scent that reminds you of your past school to help you open up about your traumatic experiences there. Or, if you're expressing gratitude for a memorable vacation you took with your family, your angel may celebrate with you by sending you the fragrance of a place where you all made good memories (such as the mountain air or seaside breeze you smelled while hiking together). Since the smell of food triggers memories of key moments when you ate that type of food, your guardian angel may send you the scent of a memorable meal or distinctive food you shared with loved ones if you're praying or meditating about them. So you may perceive the scent of a backyard cookout you enjoyed with your son, the sugar cookies you and your daughter made together at Christmas or the aroma of coffee that you and a close friend often shared before work. Whenever you're not sure about the meaning of a certain type of scent that your guardian angel sends you during prayer or meditation, feel free to ask your angel to clarify the meaning for you so you'll know you're fully understanding your angel's message. 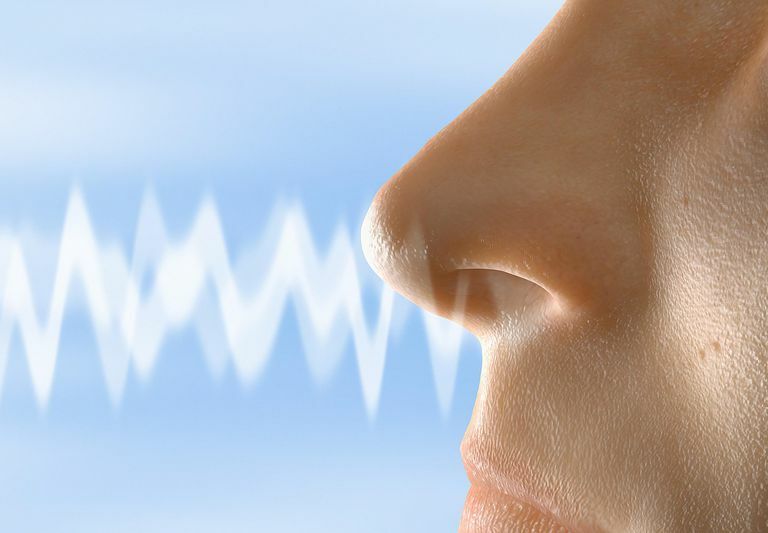 How Can Smelling Be a Part of Extrasensory Perception?